In this segment we are going to "Install NextCloud on Raspberry Pi B Plus"
Now, Boot the Raspberry Pi with this SD Card, Follow the On-Screen Instructions and then open Terminal. To check the status of Apache Web server, We will type OpenMediaVault Ip Address in the address bar. If we see this screen that mean the Apache Web Server is working Fine. After that installation will complete setup. We will restart the Apache Web Server. 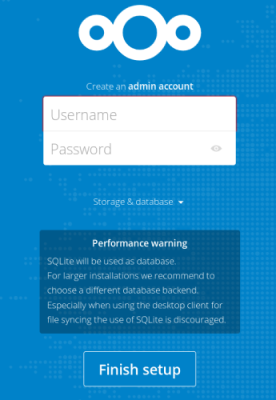 Please, Change the Nextcloud version from its official website. Right now it is on 15.0.5. Providing Control of NextCloud folder to Correct User and Group. Providing right permissions to NextCloud DATA folder. Now the process of NextCloud installation is finished. Now, we can finally move to NextCloud login process. > Once you type the correct address you will be redirected to NextCloud Login Screen. Here you can type your username and password that you want to use as a Admin Account. If you want to use the NextCloud from outside your network, we recommend you to choose a strong password. Once you are happy with your settings, press the "Finish Setup" button, to finalize the setup process. It might take some time to finish the setup. So, please wait and don't refresh the page. To access the NextCloud from Internet, we need to complete 3 steps. Then you need to forward Port 80 and 443, to the Raspberry Pi IP Address. 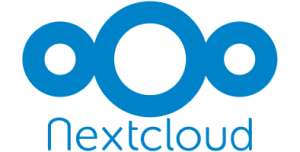 Once you logged in then create a sub-domain for your NextCloud and can visit NextCloud by that address. For example in my case i have created omvpcmac as my subdomain. So, i can access it as omvpcmac.duckdns.org. To add our website to Trusted Domain's we need to edit NextCloud Configuration file. We can either use WinSCP and we can use nano command to edit the file. Now, we will see the Configuration file and we need to add our website to the Trusted Domains. In my case, I have added my duckdns.org sub-domain to NextCloud Trusted Domain. So, we need to make another entry by increment the array ID. Now we can save and quit out of the file by pressing Ctrl+X then pressing Y and then Enter. If you follow the video and the tutorial correctly, your NextCloud should work now. From the NextCloud Menu select Apps and then enable "External Storage Support". After that we need to open Putty, login with root user and type these commands. You can find the path to Local Drive from File System options in OpenMediaVault. Now, you can go ahead and mount your External HDD in NextCloud. You need to navigate to "Settings--Administration--External Storages" and configure the path of HDD. Now, You are ready to use NextCloud on your Raspberry Pi.